Spectacular racing success and popular production machines: there is often a whole team of engineers behind successful designs, but things were different right up to the 1970s. 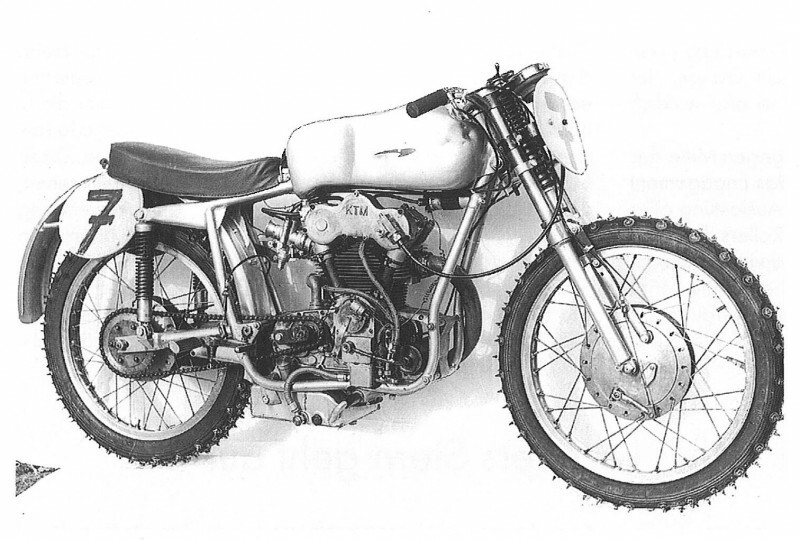 Just as the name Kiska now represents the distinctive design of KTM models, many motorcycles were previously closely associated with their designer’s name. Richard Küchen, Ludwig Apfelbeck, Walter Kaaden, Helmut Fath or Heinrich Wieditz belong to this brilliant band of engineers who are far from forgotten today. Precisely six decades ago, Hans Trunkenpolz, the head of KTM, succeeded in bringing the famous designer Ludwig Apfelbeck to Mattighofen to build an engine for the 125cc road racer. The first KTM motorcycle, the R 100, with its hand-shift gear change and pull starter, left the Mattighofen production facility in 1953; one year later, the thousandth KTM, the 125cc “Tourist” was built – the first of many KTM production records. From the outset, this young manufacturing unit took part in popular national motorcycle races. Erich Trunkenpolz, son of the company’s founder and later head of KTM himself, had a very successful career in the “125cc touring bike” class. The 2-stroke engines at that time were extremely inefficient and the era of the high performance 2-stroke engine was a long way off, so 4-stroke engines presented themselves as the technical solution to the demand for increased performance. After completing several tests with an NSU engine in the KTM chassis or bought-in MV Agusta racers, in 1955, KTM presented a new racing machine using its own chassis with the characteristic link pivot behind the wheel, named the “Earles fork” after its inventor. The drive was initially supplied by the MV Agusta engines already in use. 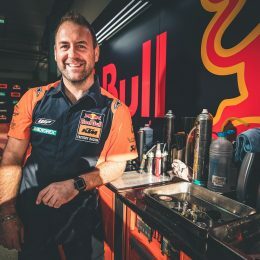 When the engineer Ludwig Apfelbeck was employed one year later, the plan was to enter the 1957 125cc world championships, which was dominated at the time by Italian manufacturers, with KTM’s own racing engine. Ludwig Apfelbeck, who was born in Knittelfeld in Austria in 1903 near today’s Red Bull Ring, often visited the neighboring Puch test track as a schoolboy, mapping the path to his professional career early in his life. As the owner of a car workshop, he developed a special water-cooled four-valve cylinder head in the 1930s with the inlet and exhaust valves diagonally opposite each other. In 1935, Apfelbeck registered this cylinder head (which was proving a success in dirt track races) with the Austrian patent office. After the Second World War, Apfelbeck initially built successful track racing engines before moving to Germany to become head of testing at Horex. 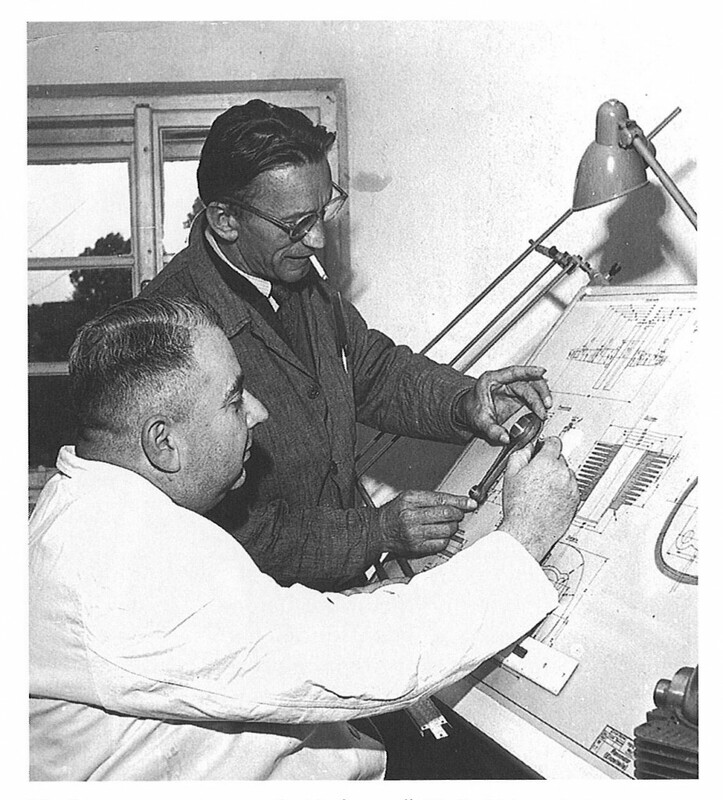 Exactly 60 years ago, Ludwig Apfelbeck returned to Austria to join KTM. 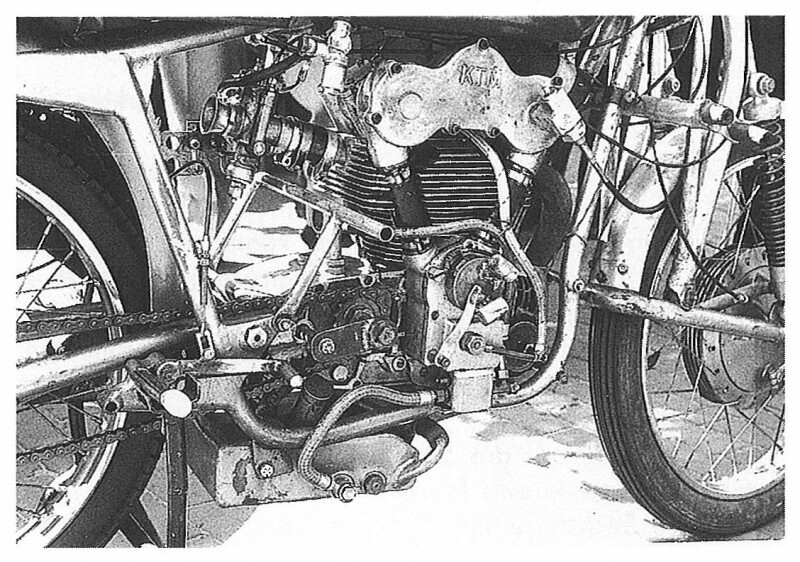 In the winter of 1956/57, a new 125cc KTM racing engine emerged from Apfelbeck’s drawing board. Its characteristic feature was a cylinder head with two camshafts driven by a chain. It included a six-speed gearbox and the only remaining element from the KTM-MV racing machines was the engine case. Even though the short-stroke engine produced only 17 hp at 12,000 rpm, the machine, with full fairing, still reached 180 kph, depending on the gear ratio. The Apfelbeck KTM had its baptism of fire on February 10, 1957 at the Zell am See ice race where the engine was seen for the first time in public. The first victory for KTM RS, the official name at the time, came in a road race in Mattighofen, almost right outside the plant’s gates. Further victories followed for Erwin Lechner and Paul Schwarz, most noticeable of which was Lechner’s fifth place among the best international riders at the International Rupert Hollaus Memorial Race in Salzburg. However, at that time, the first dark clouds were gathering in the skies for the motorcycle industry as many more people wanted to buy a small car rather than have to ride to work on a motorcycle without any protection from the wind and the rain. It was all too understandable from a business point of view, that any further costly development of the racing machine, which had very little to do with the production machines at the time, had to cease. 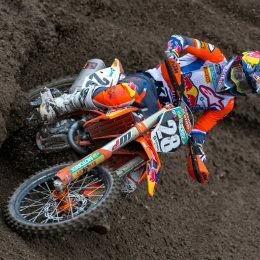 After only one year, Ludwig Apfelbeck left KTM to return to Germany. While production of the Mecky scooter continued, albeit replaced in 1959 by a pillion variant with a Sachs air-cooled engine, Paul Schwarz and Erwin Lechner won several Austrian championship titles under the RS banner which they had taken on on a private basis, until the Apfelbeck KTM was used for the final time in 1961. However, fifty years after motorcycle production began, there was a successful return to the race track in the company’s anniversary year of 2003 with Casey Stoner, Mika Kallio or Marc Márquez being the first to check out the potential, initially, of the 125cc 2-stroke engine, closely followed by the 250cc. Since the change in regulations in 2012, KTM has established a reputation for itself in the Moto3 class with 250cc 4-stroke engines. 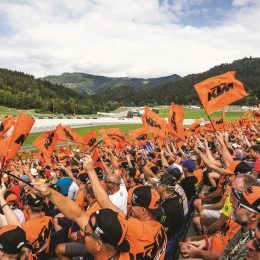 Sandro Cortese and Maverick Viñales have won two riders’ titles in addition to three manufacturers’ championships and Brad Binder has a comfortable lead in the world championship table approaching the half way point of the 2016 round. The step up to the pinnacle of motor racing in 2017 has already been announced with Bradley Smith and Pol Espargaró as KTM’s MotoGP factory riders next year.